As my music theory instructor used to say: “Dull. Boring. Correct.” Often overlooked, but nonetheless important: What are the barriers to and facilitators of successful implementation? A review of multi-factor student assignment using parent education level, income, and student race/ethnicity (while also prioritizing choice, school proximity, and siblings, as in Berkeley, CA) may address: data quality and completeness; algorithm transparency; communication clarity and cultural responsiveness; and execution of the choice process. For magnet and community innovation programs like those funded by the New York Socioeconomic Integration Pilot Program (SIPP), one might examine communication, recruitment, applications (number, proportion, and quality from target groups and locations), admissions, magnet focus and quality. Like most reforms, simply changing the distribution of students and teachers is unlikely to achieve expected outcomes without a reconsideration of and full support for the student experience. That means changes in teaching and learning environments that: are deeply culturally responsive; consider the diverse experiences of students as an asset for learning; consciously engage students; and support differentiated learning. The professional development, coaching, schedule adjustments, and program changes required to make this happen also necessitate meaningful implementation and outcome measurement. Typically, districts seeking unitary status demonstrate successful integration by producing “box scores” of the proportion of students by race within each school compared to the total district population for each respective grade level (using, for instance, indices of unevenness/dissimilarity or multi-group entropy). These measures should be augmented by an examination of integration within classrooms, academic programs (including gifted, IB, AP, Honors, CTE), and extra-curricular activities — even among districts that aren’t required to comply with the Green factors. 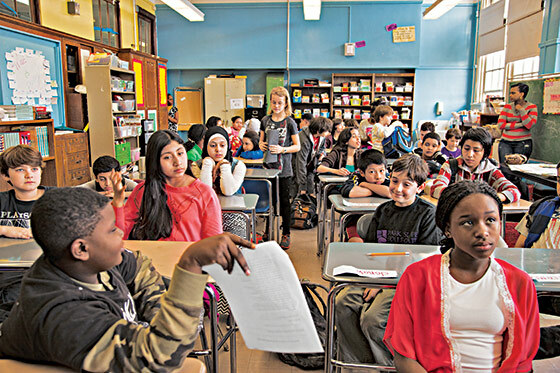 Moreover, integration policies almost certainly affect enrollment patterns in neighboring schools and districts, as well as neighborhood and adjacent after-school and enrichment programs. These should also be monitored. Student Academic Achievement. This could include examination of predicted versus actual achievement, taking into account policy changes, analysis of the effects of policy on grade level performance, and a review of whole school and district-wide performance as a supplement to subgroup performance. Critical Thinking and Perspective Taking. Students who accumulate a broader base of experience and take into account experiences different from their own generally develop stronger critical thinking skills. Review of critical thinking in student work by teachers, peers, and community members would likely reveal reform related change. Or it might identify issues that need to be addressed. Students’ capacity to take perspectives other than their own on a variety of issues is also an expected outcome of meaningful integration. School Connectedness. Strong programs will increase student connectedness to school, as well as to peers and teachers, and is measurable in broad climate surveys or other direct data collection. School Climate. 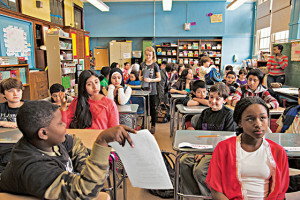 Parent connectedness to school, the vigor of the school community, teacher-parent relations, overall quality of the school experience among students, teacher engagement, and overall stakeholder buy-in are critical components of broad reforms and can be measured by school climate surveys. Community Support. Beyond climate, school systems should measure, monitor, and build overall community support for integration initiatives and their specific components. Lastly, we strongly recommend that integration policy evaluation be guided by an oversight committee comprised of key community and school system stakeholders. The committee’s role will be to ensure that review reflects core community questions and concerns, and that it is relevant, adequate, culturally responsive, and accessible to parents, students, teachers, community members, and school system administrators.